Ellen Page is a Canadian actress, who shot to fame with her hit television shows including Pit Pony, Trailer Park Boys and Re-Genesis. Page made her debut into mainstream films after starring in the 2005 drama Hard Candy. She won the Austin Film Critics Association Award for Best Actress in 2005. 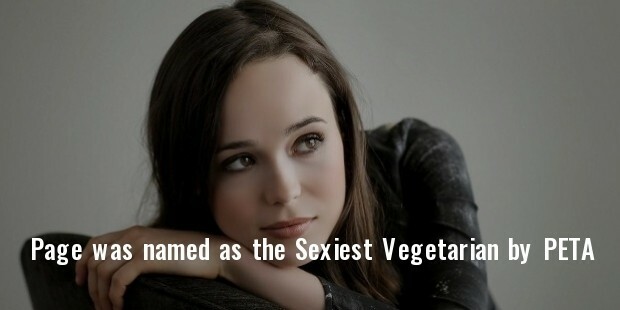 Her breakthrough came from the movie Juno, released in 2007. 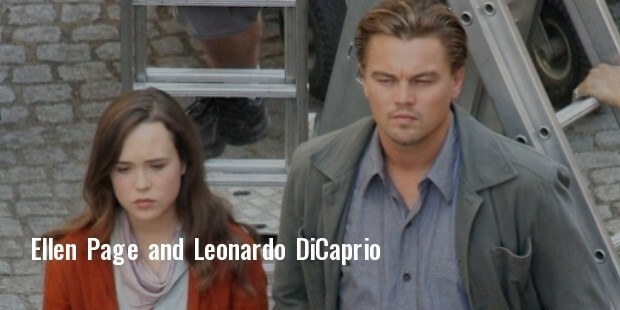 She has featured in several movies including X-Men series, An American Crime, The Tracey Fragments and Inception. Page was born to Martha and Dennis Page on 21 February, 1987 in Canada. She spent two years in Toronto after her graduation in 2005. She studied the interact Program at Vaughan Road Academy. 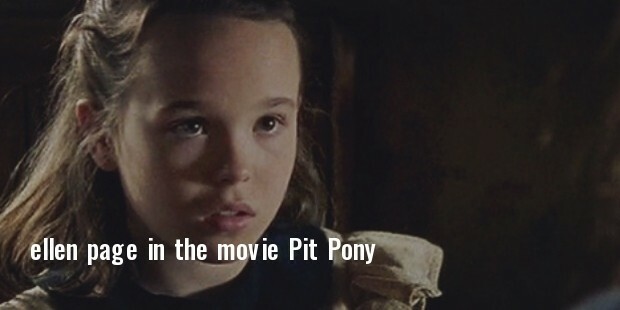 She started her acting career at the age of 10, when she starred in the television movie Pit Pony. Page first faced the camera in 1997 starring in Pit Pony. She eventually featured in several small Canadian films and television series. She was noticed for her role as Treena Lahey in Trailer Park Boys. Page’s major breakthrough came with the movie, Hard Candy, released in 2005, which earned her fame and critical acclaim. From then on, success continued to knock on her door! She was greatly appreciated for her title role in the movie Jun, released in 2007. Page has also co-starred in Smart People, which premiered at the 2008 Sundance Film Festival. She is a versatile actress; her performance has won her accolades in several movies including The Wet Season, Marion Bridge, Touch & Go, Love That Boy, Wilby Wonderful, Hard Candy, Mouth to Mouth, X-Men: The Last Stand, An American Crime, Juno, The Tracey Fragments, The Stone Angel, Smart People, Whip It, Inception and X-Men: Days of the Future Past. Page was named as the Sexiest Vegetarian by PETA in 2014. Her performance in the offbeat movie Juno had the audience mesmerized, and she is remembered for it till date. Juno is the story of a teenage girl, who unexpectedly gets pregnant. She was nominated for received the Academy Award, BAFTA, Golden Globe and SAG Best Actress. She has appeared in romantic comedies, off-beat cinema, sci-fiction movies. Page has created a niche for herself in all the different genres and films that she has starred in. Page became one of the 30 celebrities to participate in an online ad series for the U.S Campaign for Burma calling an end to military dictatorship. She is a vegan and practices Yoga and meditation. She came out as being a lesbian during a speech at the Human Rights Campaign Time to Thrive, in 2014. 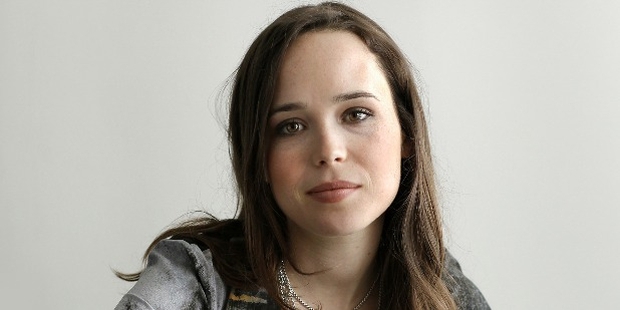 She was accorded the Independent , MTV Movie Award and Teen Choice Award for Best Actress, Comedy for her movie Juno. She won the Award in 2010. She also won the n Award and Award in 2007.